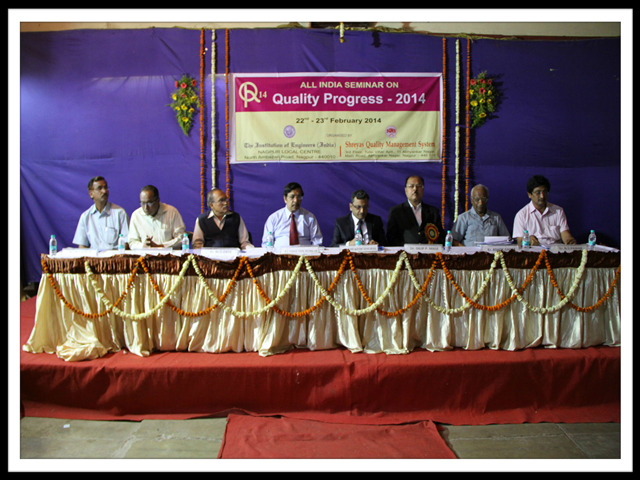 Quality Progress - 2014 was orgzanized by Institution of Engineers and SQMS, on 22nd and 23rd Feb, 2014 at Nagpur. More than 200 participants from Industries - Kirloskar, Tata Motors, participated in the Conclave. Mr. Mukesh Singhal, Managing Director of URS was Chief Guest at the program and distributed awards to winning participant industries.